Running a successful trucking company requires a deep understanding of how to move a number of vehicles across the country in a well-organized fashion. For such an operation, a good geographic information system plays a critical role. This is where Rand McNally comes in. With more than 150 years of experience of developing hardware, software and mapping solutions for trucking enterprises, this American company is a leader in the commercial transportation market. The TND 760 is one of the company’s latest offerings. 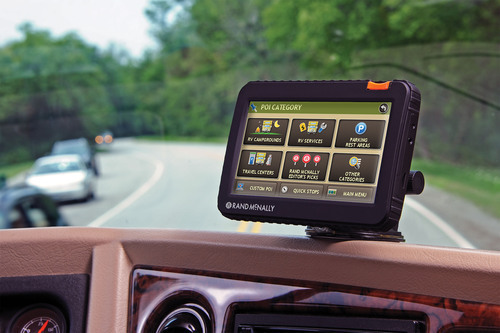 The Rand McNally TND 760 brings networking, cartographic, and monitoring technologies together to help commercial vehicle fleets improve their workflow and stay compliant. It meets all the record keeping requirements and boosts the bottom line at the same time. Read on to find out what else this product can do. 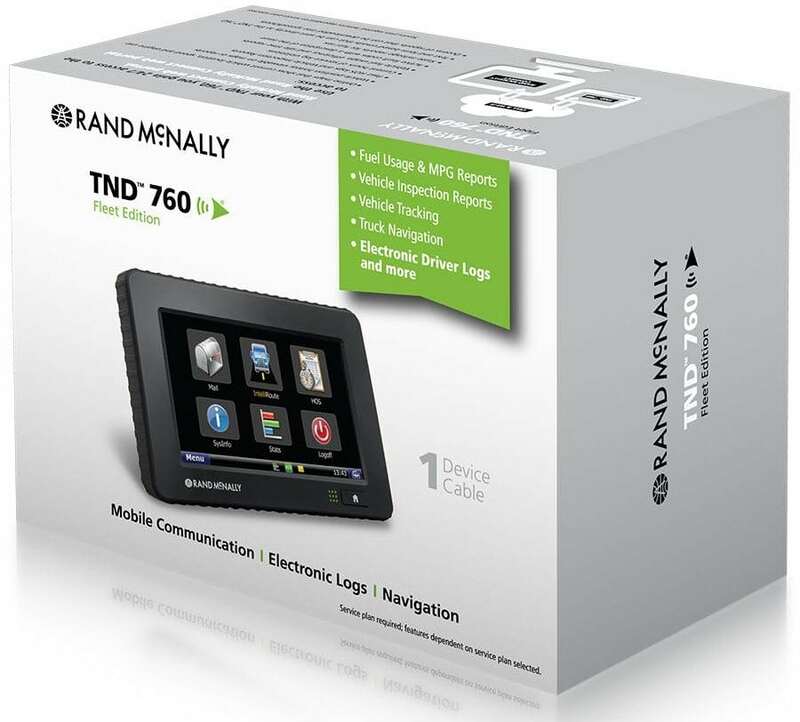 The Rand McNally TND 760 is designed as a next-generation EOBR device which combines a robust mobile communication technology with award-winning navigation. This affordable electronic logging device doubles as a fleet management or compliance system as needed. All in one! 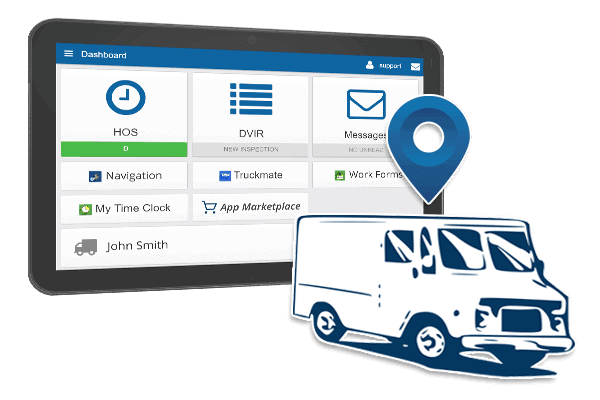 Despite a compact design, it provides a full suite of features and capabilities like email fleet communication, critical event reporting, truck-specific navigation, performance monitoring, and much more. All data concerning fleet activity are managed through the FleetWatcher portal. 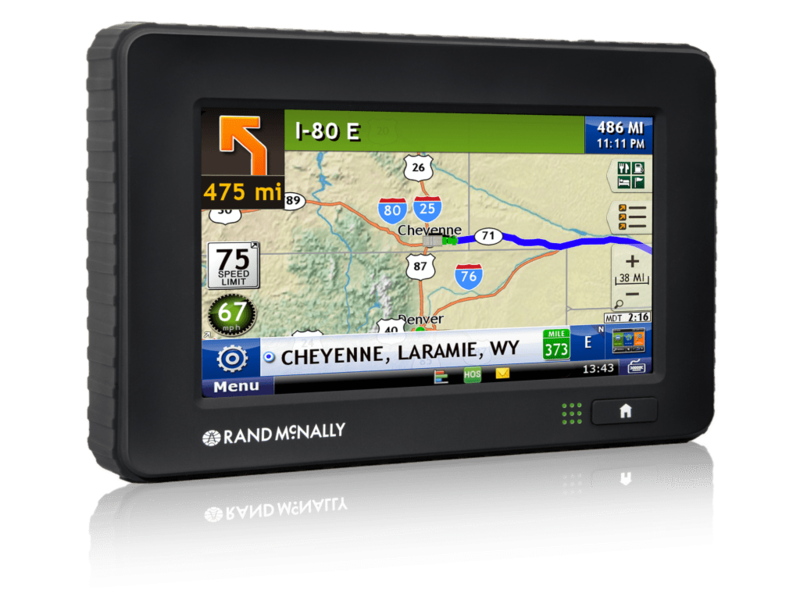 Designed as an in-cab electronic onboard recorder, the Rand McNally TND 760 installs in less than thirty minutes. As a matter of fact, this is one of the easiest ELD to install we have seen so far. One cable, one device. All you need to do is plug it in and you are all set. 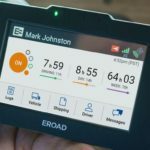 This feature-rich ELD solution runs on exactly the same hardware for GPS navigation, which is already known and appreciated by thousands of drivers. Going with a familiar device makes it easy for drivers to adjust to ELD. Unlike many ELD systems, there’s no jumble of various fuses, wires, and adapters. You will not have to open your dash panel up. Simply plug a cable s into a diagnostic port of your truck, mount the screen as per your preference and go. This helps companies with a large number of short-term rental vehicles to avoid spending a lot of time removing or installing an ELD when a new vehicle leaves or joins their fleet. 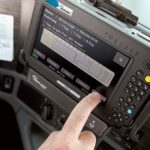 Depending on the service plan you choose, this electronic logging device provides a wide array of capabilities. Those who select the Enterprise Plan will be able to make use of a broad spectrum of features. As previously mentioned, all the fleet-related data are gathered and managed online by means of this web portal. It is kind of like a one-stop shop where the users can access their dashboards at any time. Aside from improving communication with drivers, this allows fleet managers to access the historic and real-time information with ease. This way they can improve fuel efficiency, compliance, and safety. By reducing waste and saving time, it helps them maximize productivity and cut down expenses. The HOS application of this electronic logging device helps fleets improve their CSA scores while lowering the risk of any compliance violations. Bear in mind that it is fully compliant with hours of service regulations and meets al the record-keeping requirements as well. 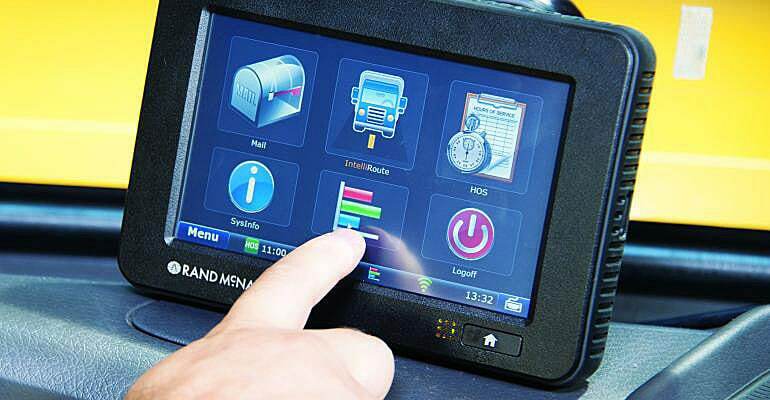 Actually, this is a great opportunity for fleets to get a fully compliant EOBR solution with multimodal driver performance and mobile communication tools at an affordable price. In addition, the customers have continued compliance support throughout the warranty period. You get a lot of good things in a little package. The device is meant to link to the Rand McNally's web-based portal through a cellular or WiFi signal. This ensures that the truck drivers are always in contact while traveling regardless of their locations. The synergy between the management system and individual device yields results beyond what you may expect from a 7.5 x 5 inch box. All the data are clearly displayed on an easily accessible 7-inch screen. In addition to giving information in a visual form, the device notifies a driver verbally when he needs to keep his hands on the steering wheel and eyes on the road. 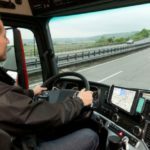 As an integral part of a communication web, the capabilities of this in-cab fleet management solution greatly depends on which service plan is selected. There are three options to choose from. If you opt for Electronic Onboard Recorder (EOBR) plan, you will get monitoring and recording at the minimum level. Basically, you get nothing but compliance with HOS requirements with this service plan. There are some benefits though. The TND 760 is fitted with a GPS tracking system that determines where and when the vehicles are being operated. 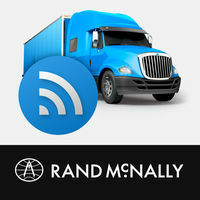 This smart device makes a note of a wide variety of on the job operations, thereby ensuring compliance with ELD rules. It issues early warnings when you're approaching the HOS limits. Automated monitoring and recording will also eliminate tedious paper logs forever. Through the EOBR plan, you will obtain documents from the OBD-II computer of your vehicle. The inspection reports are generated twice a day and they are saved in PDF format. The Basic package is mostly built on the previous service plan with some extras like messaging and mapping. These interactive maps make it easy for users to enter destinations related to their business. This awesome capability allows fleet supervisors to match any shipment to the most suitable vehicle. Geofencing is another great capability included in this package. The system determines charges by recording the vehicles in the vicinity of a fleet's establishment. Information, such as vehicle speed and direction, are provided in real time for the recent past and present operations. Furthermore, the TND 760 records activities like speeding and hard braking for further examination. The package involves email messaging, too. When a truck is in motion, the device switches from text to voice mode automatically. This way it prevents the truck drivers from reading the messages and taking their eyes off the road. If you want to unleash all the features of the TND 760 and get the most out of it, this plan is for you. What's under the enterprise package? There is a performance scorecard for every individual driver. These scorecards are produced by utilizing inputs of the diagnostic computers of the vehicles. Fleet managers can use all of these statistics to determine the minuses and pluses of any particular rig within the fleet. The monitoring features regularly operate, so it's no big deal for them to catch any vehicle malfunction. That helps managers minimize rig downtime and repair costs. What's more, the system activates alerts when a problem occurs — whether it is log transmission, rig mishandling, or HOS time expiration. As you can see, the capabilities extend with every following package. It should be noted that the monthly costs get higher accordingly. You get what you pay for. The upfront cost doesn't include navigation. While some fleets can operate without GPS navigation, this feature is no doubt a great bonus. 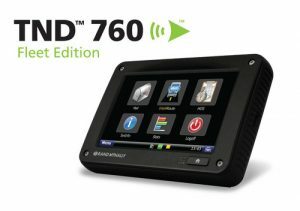 Overall, the TND 760 is a great cost-effective option for budget-minded fleets seeking a simple remove/install process. 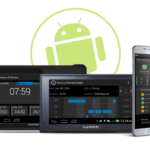 It is an affordable ELD solution that is suitable for both owner-operators and fleets. There are some downsides to be taken into consideration though. Sometimes you may encounter a problem after rebooting the unit due to the buggy software. The driver tablet feels dated because of the old-school screen. ELD menus aren't really user-friendly and intuitive. Also, the touchscreen is not on par with high-end models. While the back office tools are quite functional, they are not that slick. With that being said, most issues are of cosmetic nature. They can be easily addressed with a bit of practice and training. Yes, it is definitely not the fanciest ELD solution out there, but it has some notable advantages and can do the job just fine for a reasonable price.